We are cosmetic & medical professionals committed to delivering high-quality treatments using the latest technologies in skin care. We promise to work closely with our patients to ensure they receive the best results possible for every treatment. We have a commitment to consistent, quality care because our clinic is built on the foundation of strong relationships. Our patients are assured care at a high quality medical level in a no pressure environment. We are at the leading edge of medical & aesthetic technology as we maintain our renowned reputation for excellent customer service experiences. DermMedica was originally established in 1994 (under the name Kelowna Vein & Laser Centre) to offer an alternative to more invasive plastic surgery procedures. There was also a serious need for a medical skin & laser clinic with well-trained physicians in the BC interior. Since opening, we have met the diverse needs of our clients in both Kelowna and the Okanagan valley by providing high-quality medical laser, and aesthetic treatments. The supporting staff at DermMedica is renowned for their mature, service oriented, and patient-friendly care. As a whole, we operate on a strong culture of mutual respect for knowledge and professional excellence, and we are known for producing quality results for the people of Kelowna and the BC Interior. We are a multidisciplinary and integrative medical center with highly skilled professionals dedicated to the pursuit of excellence in the fields of medical skin care, laser & cosmetic skin treatments. 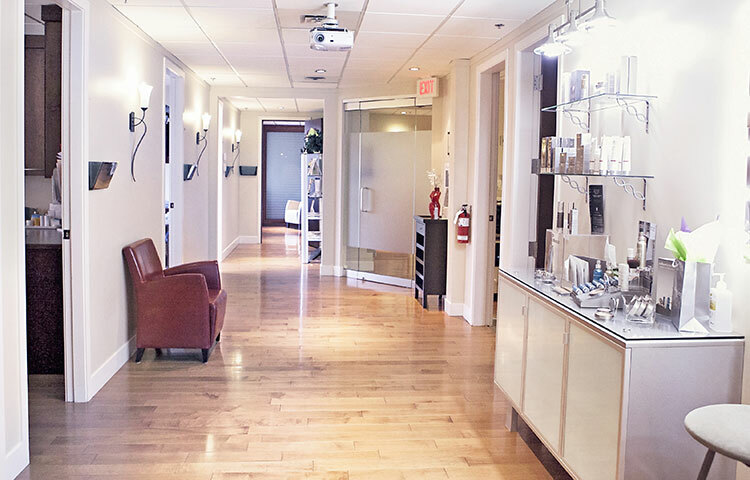 Located conveniently in downtown Kelowna, DermMedica is the perfect blend of a professional and relaxed clinical environment. Our office features a European design with soft lighting and warm colors, favourable for patient comfort and serenity. Our facility is distinguished by a full range of medical and cosmetics skin treatments. Medical rooms are equipped with quality equipment and are oriented to ensure patient privacy. Our most recognized and popular procedures are CoolSculpting® for non-invasive fat removal, Botox Cosmetic, Juvederm Fillers, Laser Tattoo Removal and DermaPeel for laser skin resurfacing and rejuvenation. These are all minimally or non-invasive technologies that provide exceptional results for the right patient.